For 150 years Edgar Allan Poe’s poem, The Lost Land, has been missing, known only by rumor. Isobel Autrey is from a moneyed Garden District family, and could have been a belle of New Orleans society. Instead she became a professor of literature and a poet. Her brilliant detective work has revealed the possible location of the Poe poem. It can bring her worldwide acclaim in the only world she cares about, arts and letters, and she is desperate to recover it. Dennis Jones is a veteran of a hundred sanctioned boxing matches and five hundred carnival tough-man events. He sports a cauliflower ear and thick calluses on his eyebrows. He is 34, and his main chances--in boxing and in life--have passed him by. Jones has the key to obtaining the Poe poem, though he doesn’t know it. Isobel approaches him. She is urbane, willful, and pedigreed. Dennis is a mutt. They instantly aggravate each other. He wants nothing to do with her. So she proposes a deal: if he will help her retrieve the poem she will manage his life for one year. Manage his life? He scoffs at the bizarre proposal but then realizes his life indeed needs management. 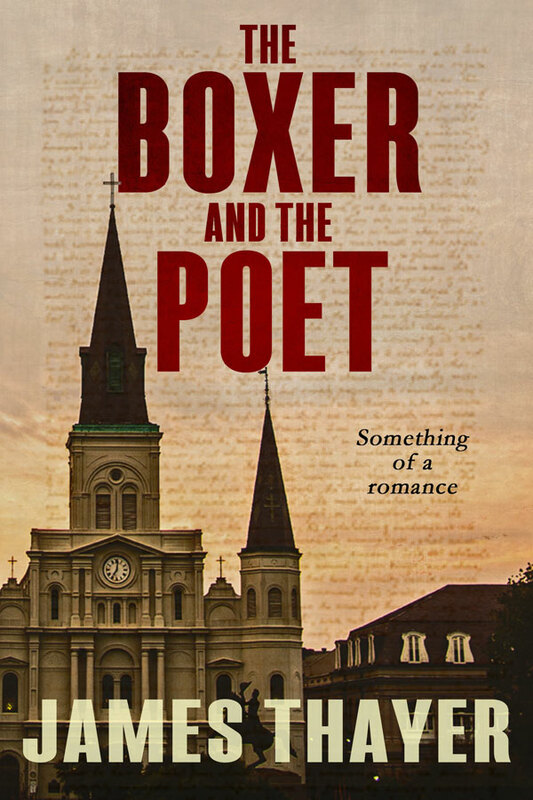 The Boxer and the Poet is the story of their search for the Poe poem, and of their discovery of their love for each other.